* $128,329 after 9 years. * Up to 10% shift differential. * 13 paid holidays annually. * Up to 14 paid vacation days. * Health Plan; Dental and Vision benefits. * 20 year contributory pension plan. 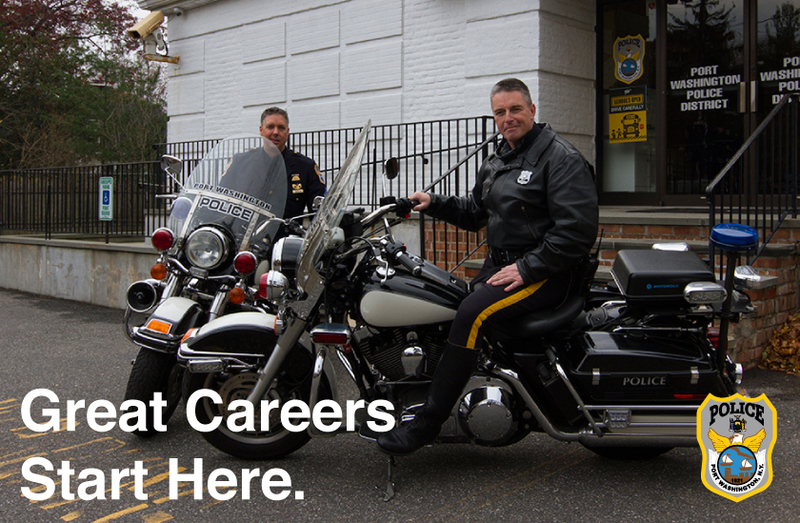 A career in law enforcement can be an exciting, rewarding opportunity. 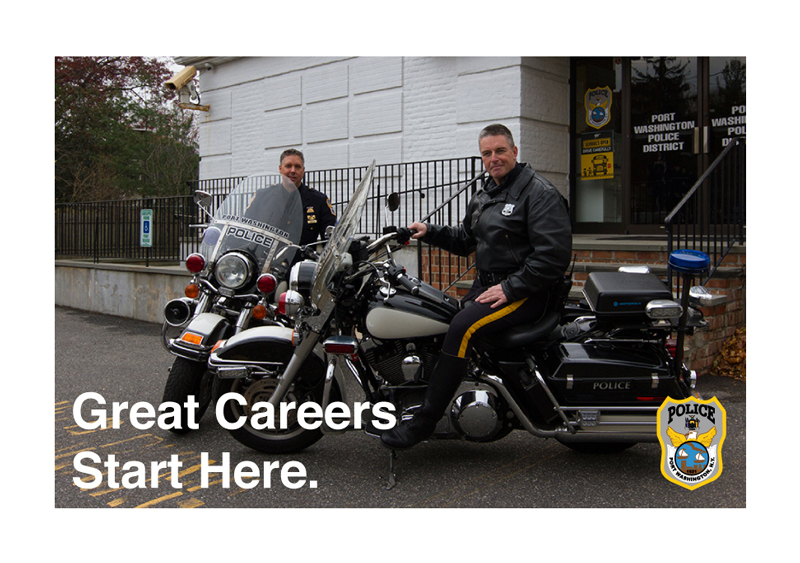 It takes dedication and commitment to become a good officer and the�Port Washington�Police District looks for individuals who are up to this challenge. 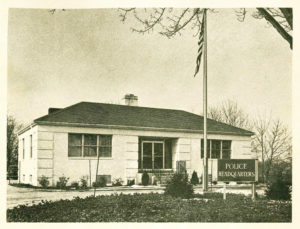 We are a full-service, professional Agency, with 60 full-time sworn. The completion of a Civil Service Exam is the very first step for all applicants seeking employment at the Port Washington Police District. Employment interview will not be given, nor will resumes be accepted, until the applicant has completed the Civil Service Exam and test results have been established. 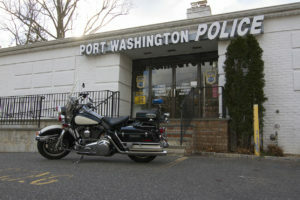 The Port Washington Police District periodically has needs for a part-time school crossing guard. The crossing guard would be responsible for protecting children as they walk to and from school at designated school crossings. Contact Deputy Chief Robert Del Muro at 516�883-0500 ext. 315 for more information.